Ah, Opening Day in Milwaukee. Today, at 3:10pm Central Daylight Time, the Milwaukee Brewers play host to the St. Louis Cardinals at Miller Park, and another season of Brewer baseball will be underway. 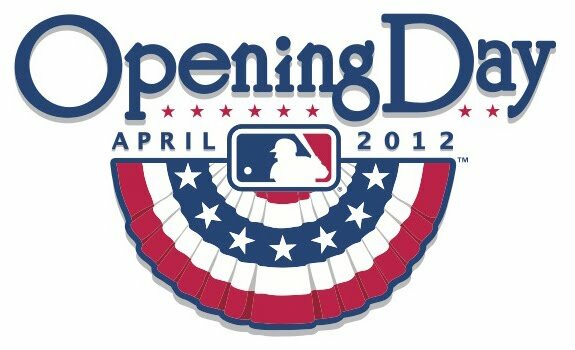 It's a glorious time of year - time to pull on your baseball cap, buy the MLB At Bat app (the reason the iPhone was invented, in my opinion) and reflect on the sport's grand history while you wait for the game to start. 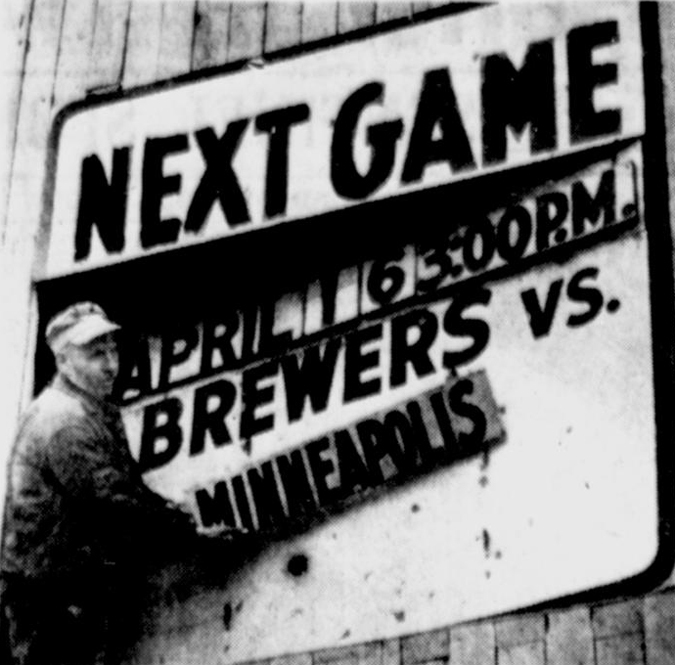 On Wenesday, April 16, 1947, Cream City fans were waiting as the Brewers prepared to welcome the Minneapolis Millers for their home opener at Borchert Field. With an extra day to clear the snow, Borchert Field's crews prepared to open the season in style. Workers set up new seats—it all adds up to—the Brewers are coming back to town and it's baseball time again. 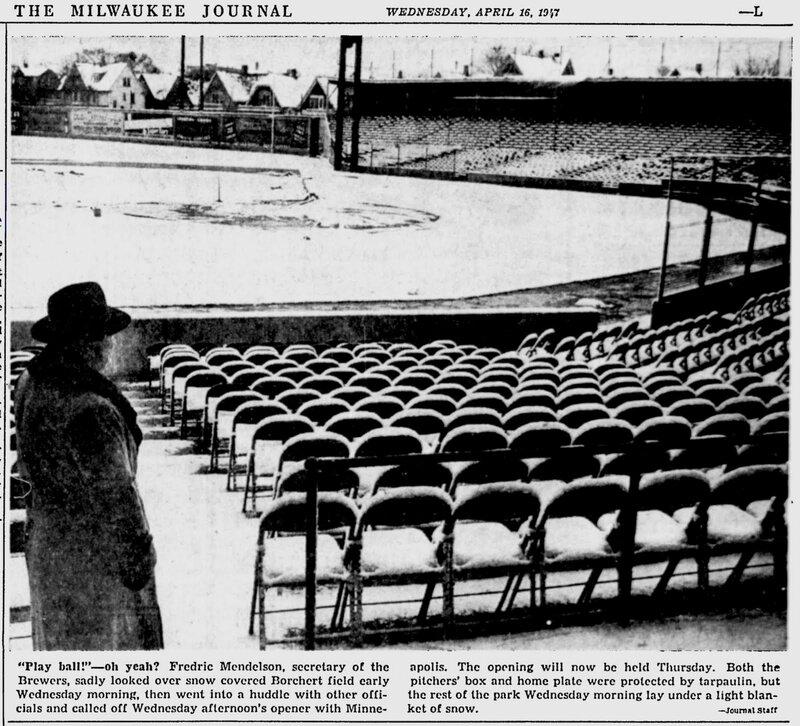 Anyone who has spent an April in Wisconsin, or remembers the debate over putting a roof on Miller Park, knows how mercurial the weather can be. 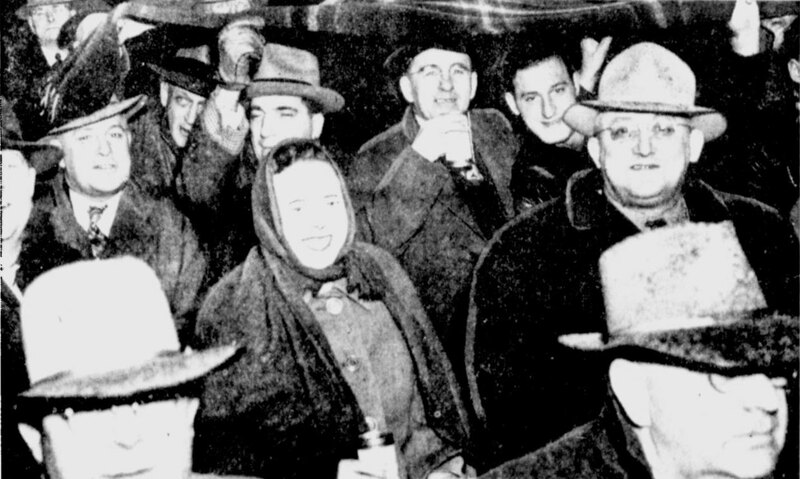 1947 was no exception, and the opening had to be pushed back a day to Thursday the 17th after a snowfall covered the city. "Play ball! "—oh yeah? 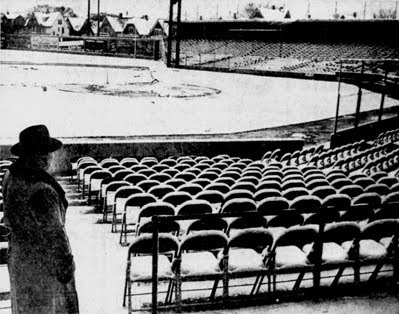 Fredric Mendelson, secretary of the Brewers, sadly looked over snow covered Borchert field early Wednesday morning, then went into a huddle with other officials and called off Wednesday afternoon's opener with Minneapolis. The opening will now be held Thursday. 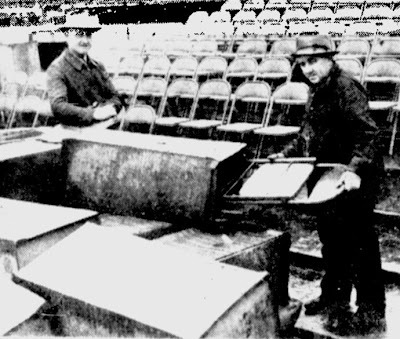 Both the pitchers' box and home plate were protected by tarpaulin, but the rest of the park Wednesday morning lay under a light blanket of snow. Although the grounds crew was able to clear all the snow in time for the rescheduled opening, the conditions weren't much better on Thursday. 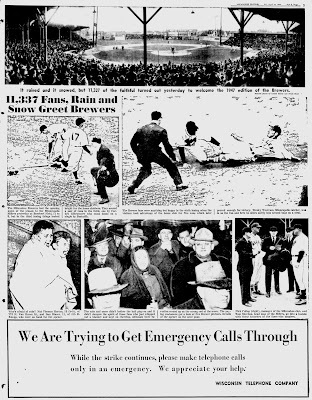 The players and fans faced freezing rain throughout the game, but that didn't stop the Milwaukee faithful from turning up to see their Brewers, with 11,337 fans crammed into the old wooden ballpark. As those fans streamed through Edward Kretlow's well-oiled turnstyles on Opening Day, they were probably wondering what they would see that day. 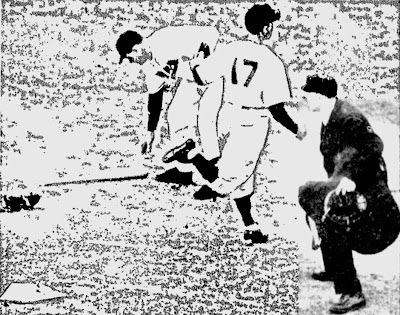 1947 was a year of great change for the Brews; the team had been purchased by the Boston Braves near the end of 1946, ending what had been (save for a three-year blip in the early 1930s) nearly four and a half decades of independent baseball. Some of those changes would have been instantly obvious to Brewer backers as they took their seats. The Brews were now the top farm club in the Braves organization, and they dressed the part, wearing brand-new uniforms with the Braves' navy/red/navy piping under the classic Veeck-era "Brewers" script wordmark. The Orchard had also undergone a facelift in the offseason; the city-block configuration didn't give the Brews any room to move the fences out, so to get 375 feet to direct center they moved home plate back 20 feet. That extra room in the outfield didn't stop Minneapolis catcher Wes Westrum from knocking one over that "new" fence in the top of the 5th. Let's look at that coverage in greater detail. It rained and it snowed, but 11,337 of the faithful turned out yesterday to welcome the 1947 edition of the Brewers. There it is - the Orchard. A bit more intimate than in previous seasons, if that was possible, with the plate pulled back towards the backstop. The Milwaukee Brewers lost the opening game of the season to the Minneapolis Millers yesterday at Borchert Field, 11 to 8, but in the third inning things looked bright for the home clubbers. They scored a pair of runs in the third, one by Carden Gillenwater who came home on a single by Bestudik. That's a good look at the sans-serif block numbers the Brewers used from 1947 through the 1950s. The Brewer fans were anything but happy in the sixth inning when the visitors took advantage of the home club for five runs which later proved enough for victory. 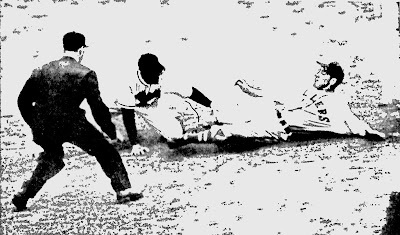 Wesley Westrum, Minneapolis catcher, was in on the fun and here he slides safely into second base on a steal. Who's afraid of rain? Not Thomas Horton, 13 (left) of 772 N. Van Buren St., and Dan Blazer, 11, of 413 E. Knapp, who were on hand for the opener. That reminds me of the many spring days I would catch the bus to County Stadium with my friends. We had our share of cold and rainy days as well. The rain and snow didn't bother the ball players and it didn't dampen the spirit of the fans who just whipped out a blanket and kept on cheering, although their favorites would up on the wrong end of the score. The paying customers got a look at five Brewer pitchers. You can't keep a good fan away. Even through rain and snow (and a pitching staff coughing up 11 runs), the fans screamed and cheered for their Brewers. 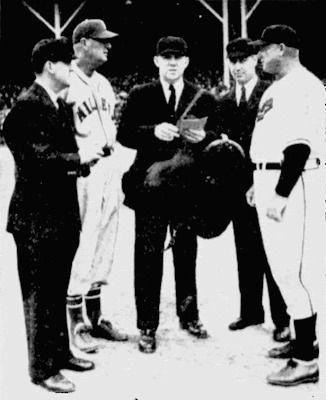 One thing that hadn't changed for 1947 was the Brewers' skipper. Returning to the dugout was Nick Cullop. Nick Cullop (right), manager of the Milwaukee club, and Tom Sheehan, head man of the Millers, go into a huddle with those favorites of the fans—the umpires. 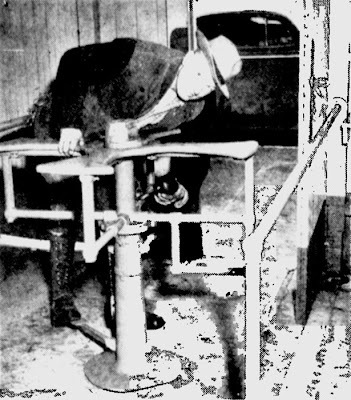 Cullop, affectionately known as "Tomato Face" was starting his third season with the club, having taken over for 1944's one-year manager Casey Stengel. Although the Braves were keeping him for now, it was widely reported that Boston had him on a short leash, and 1947's results would determine whether Cullop would finish out his contract. "So the first game is written into history ... And there's no longer any need to guess about the Brewers ... As they stack up at the moment, they're shy of championship class." Larson was partially right. They finished the season in third place with a record of 79-75, 14.5 games behind the American Association champion Kansas City Blues. That 3rd place finish, however, was enough to get the Brewers into the league playoffs, where they showed some fight. 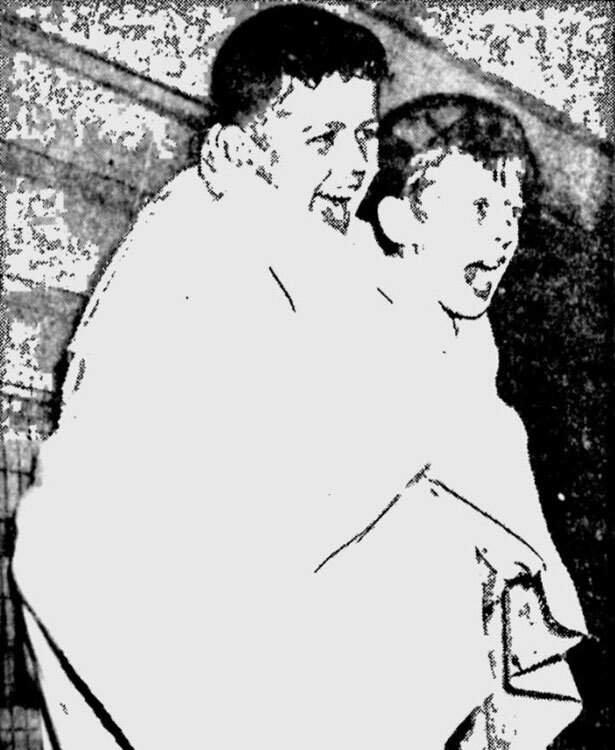 The Brewers scrambled past the Kansas City Blues and Louisville Colonels for the right to represent the American Association in the "Little World Series" against the Syracuse Chiefs of the International League. 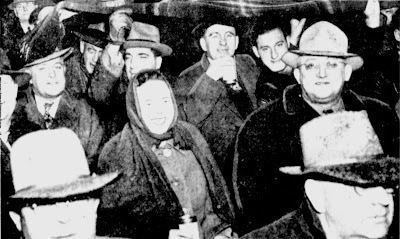 It took them all seven games, but the Brews prevailed to bring the 1947 minor league crown back to Milwaukee (in the process saving "Tomato Face"'s job for another season). Those 11,337 disappointed fans, making their way home through the snow and slush after the Brewers' Opening Day loss, had no idea of the sunny skies ahead.